Wreaths Across America came to the Naval Academy, so I snapped a few pictures. 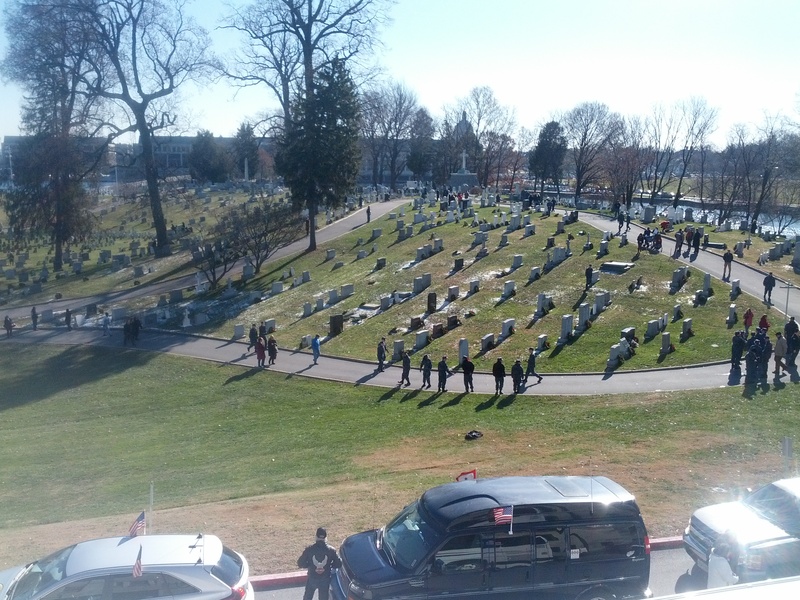 Wreaths Across America came to the U.S. 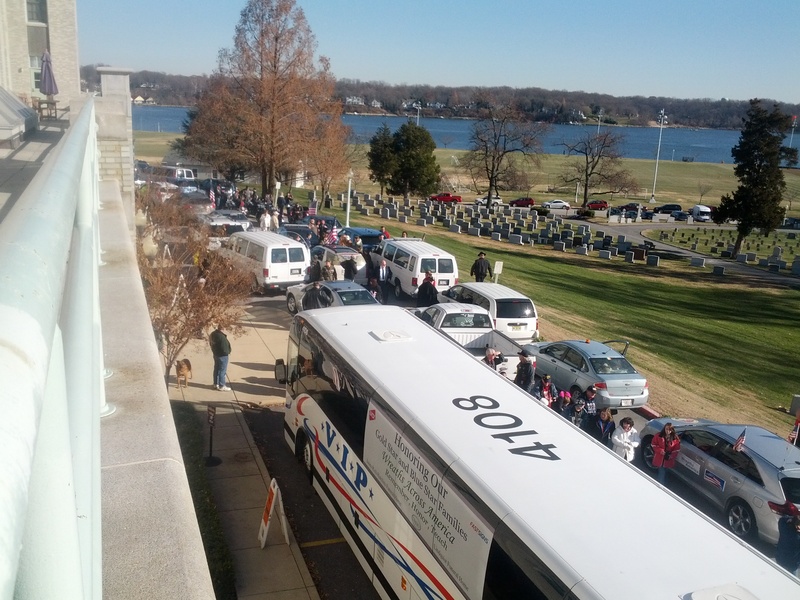 Naval Academy today, to lay wreaths on graves at the Naval Academy cemetery. I snapped a few photos while they were here. 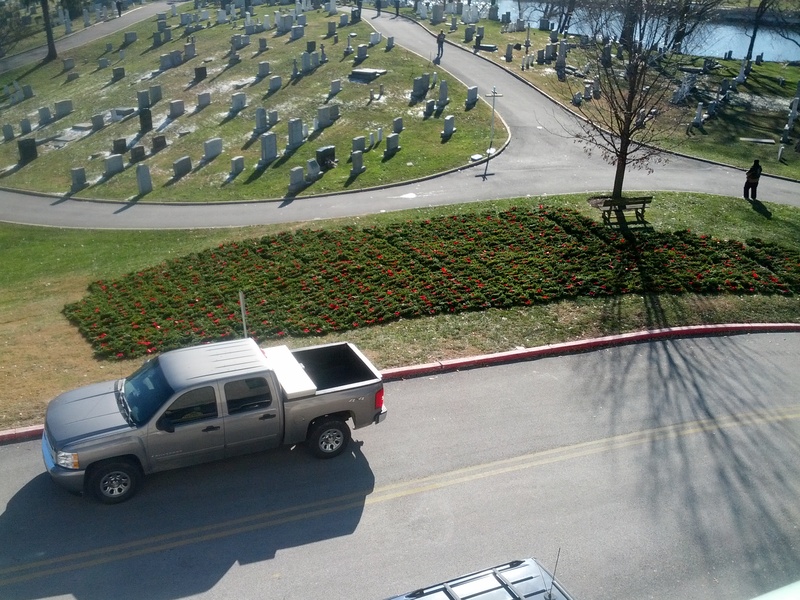 Wreaths waiting to be placed on graves at the Naval Academy cemetery. The procession of vehicles for Wreaths Across America, including motorcycles and vehicles from various police departments in Maine (where the program got its start). 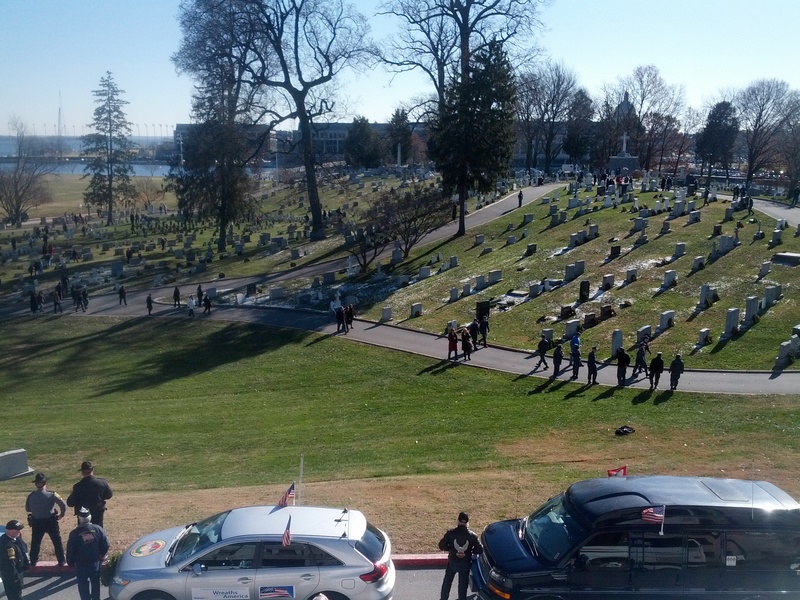 Volunteers lay wreaths on graves at the Naval Academy.